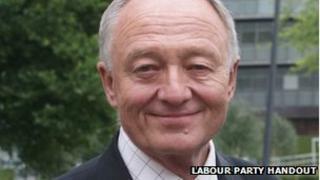 Former mayor of London Ken Livingstone has topped elections to Labour's National Executive Committee (NEC). The NEC is Labour's ruling body, with members from across the party, including the unions and local parties. Mr Livingstone, who was defeated by Boris Johnson in this year's London mayoral election, has come top of those elected from party members. Following his mayoral defeat, Mr Livingstone told the BBC it would be his "last election". The former mayor secured over 31,000 votes, just ahead of long-standing NEC member Ann Black. Elections to the NEC for local party members take place every two years. Mr Livingstone also topped the poll the last time elections were held in 2010, when he had just been selected as Labour's candidate to fight the 2012 London mayoral race. Out of the six candidates backed by New Labour group Progress, which has recently been threatened by unions with expulsion from the party, two were elected - Ellie Reeves, sister of shadow cabinet member Rachel Reeves, and Peter Wheeler. The only incumbent who failed to get re-elected was London councillor and blogger Luke Akehurst.